Stud Road Panels is a high class accident repairs and panel beaters located in Dandenong. 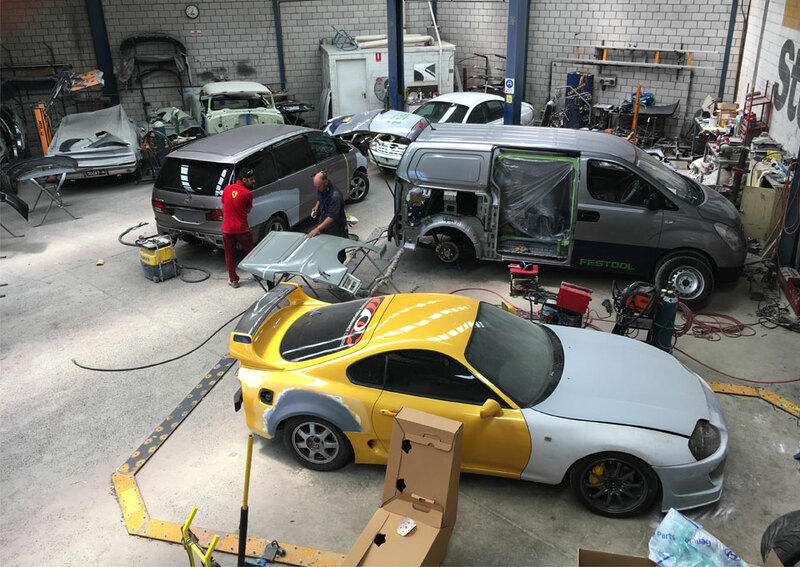 Our state of the art car body repair workshop is conveniently in the Endeavour Hills/Keysborough and is fully equipped to provide your vehicle with a comprehensive restoration service. Furthermore, we are located close to all methods of public transport to ensure you can easily get here when retrieving your vehicle. We offer a fully equipped car repairs workshop with state of the art collision repair equipment. 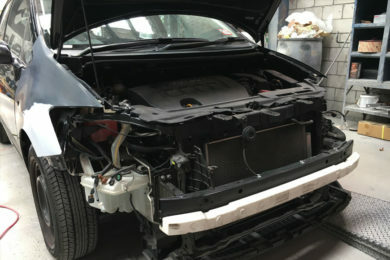 We handle all manners of accident repairs including smash repair work, collision work, panel beating and spray painting. We work on anything from small scratches to frame damage and heavy collision repairs. 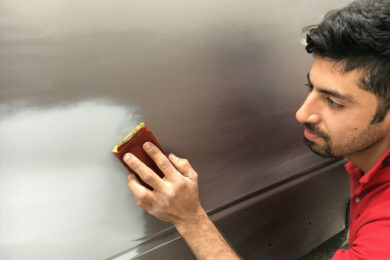 When asking yourself, ‘where can I find a car body repair service near me?’ look no further than Stud Road Panels – the eastern suburbs trusted name in accident repairs. If you want a personal, friendly, stress-free atmosphere, we’re the experts you can trust! With our years of experience and professional attitude, we always perform our work to very high standards. We have a streamlined process to ensure quick turnaround and minimum disruption to our clients lives. With years of experience in the industry, we have a dedication to providing a personalised service for each of our valued customers. We understand that your car is valuable to you and therefore we strive to provide an impeccable service. We utilise the highest quality standards, and only use manufacturer’s original replacement parts, paint technology and equipment. This will ensure a clean, if not superior, finish to the car. 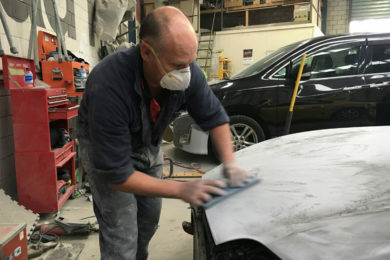 Our panel beaters are highly skilled and are regularly being trained and re-trained to ensure their performance is maintained at the top of the car repairs industry. We work and specialise in all makes and models of vehicle. This includes Holden, Ford, Mazda, Toyota, Honda, Mitsibushi, Subaru, BMW, Kia, Audi, Mercedes, Saab, Peugeot and Porsche. Our panel beaters is VACC approved and has all the accreditation necessary to deal with all major insurance companies. We can take care of your claim from start to finish. This entails arranging a rental vehicle and billing your insurance company when you pick up your vehicle. We work on your behalf when dealing with major insurance companies to ensure your vehicle is repaired the way it should be. All insurance work repairs are efficiently processed and designed to get your vehicle back on the road as quickly as possible. If you are the innocent party in a collision, make sure Stud Road Panels is your first port of call. We can effectively explain everything to you at our workshop or over the phone. Most people aren’t aware that there is an alternative service for being in an accident that was not your fault. You don’t have to go to an insurance company but come straight to our team, saving time and money in the process. Have a question for our car accident company? The team at Stud Road Panels are committed to providing an exceptional standard of customer communication, and will be happy to answer any questions you have regarding our car repairs service. Please fill free to give us a call on (03) 9792 4913 or submit an enquiry form on our contact page. We will get back to you as soon as possible and with all the information you require, such is our commitment to providing the best panel beaters service in Dandenong.